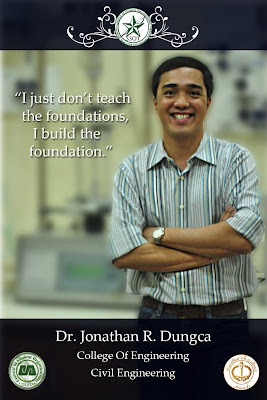 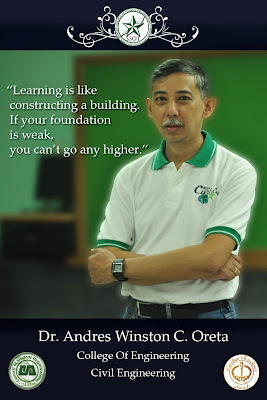 Structural Engineering faculty members of the Department of Civil Engineering, Dr. Andres Oreta, Dr. Bernardo Lejano and Dr. Jonathan Dungca were selected finalists in Phase 2 of the Students Search for Outstanding Teachers (SSOT) for the School Year 2010-2011. 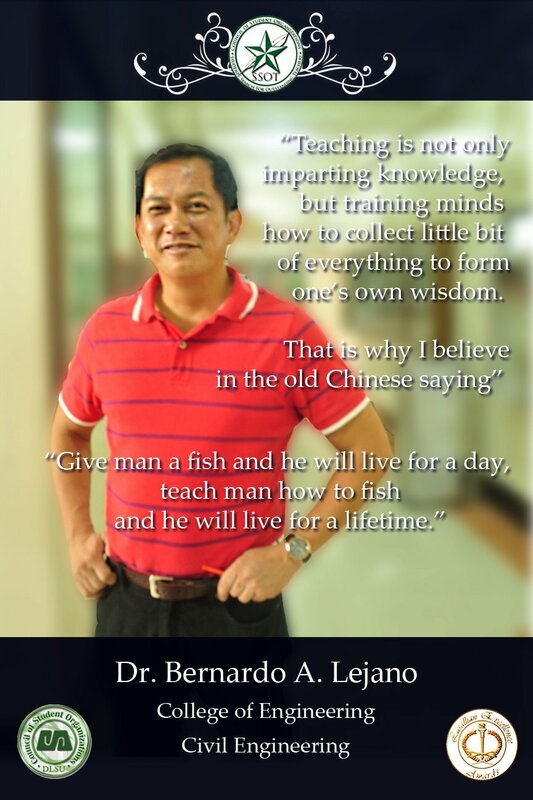 In Phase 2, the faculty member's "work ethics as an outstanding teacher from the perspectives of students, fellow teachers and senior professors..." will be evaluated. The SSOT is a project of the DLSU Council of Student Organizations under the Lasallian Excellence Awards.